Paulie Malignaggi has been itching to fight Conor McGregor for close to two years. As of yet, however, all he’s gotten is an ongoing Twitter beef, and the potential for a bare knuckle fight with McGregor’s training partner Artem Lobov. After a recent skirmish with Artem Lobov at a media day in New York City, Paulie Malignaggi says he’s no longer worried about Conor McGregor whatsoever, because he believes the Irishman is scared. He delved into the Irishman’s fears on a recent episode of MMA Junkie Radio. “I moreso laugh at Conor,” Malignaggi said (via MMA Junkie). “I’m not really worried about Conor, because Conor is not going to do anything to me. He’s not going to challenge me. Earlier this week, Conor McGregor shared a slew of photos from his infamous sparring session with Paulie Malignaggi, evidently keen to prove that he got the better of the retired boxer in the ring. 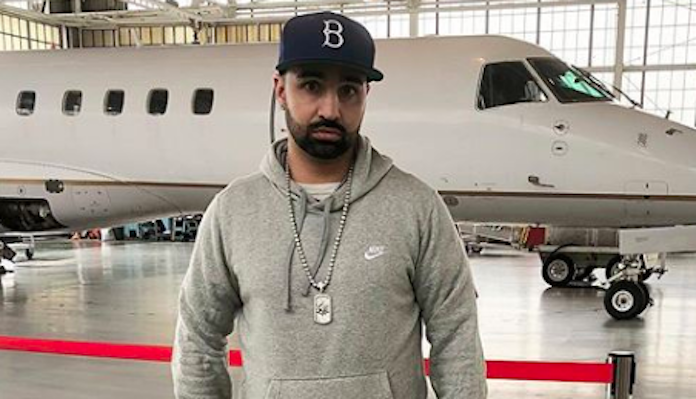 Malignaggi, however, claims he wasn’t phased by this social media assault. What do you make of the ongoing beef between Paulie Malignaggi and Conor McGregor? Do you think we’ll ever see these two settle their differences in the ring?